Long before there was American Idol, The X Factor, or America's Got Talent, there was Star Search, hosted by Ed McMahon. Some of today's biggest comedians like Adam Sandler, Drew Carey, Kevin James, Dave Chappelle, and Rosie O'Donnell were on Star Search as young comedians, using the appearance to help boost their careers. Which famous comedians were on Star Search? Were any of them Star Search winners? Comedy greats like Ray Ramano, and even his Everybody Loves Raymond costar Brad Garrett appeared on Star Search (Garrett even won!). These comedians who were on Star Search include names you've heard of, and a few faces you likely recognize but maybe can't name (until now!). Star Search videos are included for each comedian, when available. Wondering if your favorite comedian got his or her start on Star Search? Check out the list of funny people below and be sure to see which actors, musicians, and other famous people are among the many celebrities who were on Star Search. Before everybody loved Raymond, comedian Ray Romano had to get the judges to love him in his appearance on the show early in his career. In 1984, long before she became a household name, comedian Rosie O'Donnell appeared on Star Search. 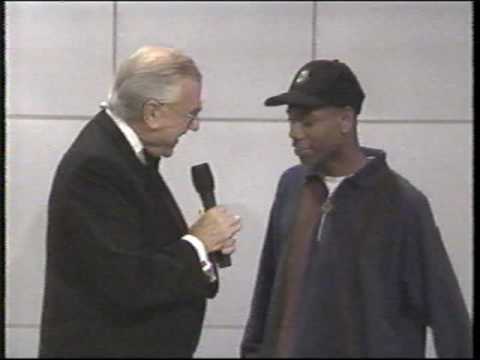 Comedian Dave Chappelle appeared on several episodes of Star Search in 1993. Here, he talks about the unique way he used to deliver pizzas in Washington, D.C. In 1988, efore launching his own sitcom, the American version of Whose Line Is it Anyway? and eventually hosting The Price Is Right, comedian Drew Carey appeared on Star Search.